The RadioShack / Realistic TRC-457 is the Deluxe version of the RadioShack / Realistic TRC-458. It adds an onboard SWR-meter and digital clock. The TRC457 is the big brother of the TRC458. Same Uniden 858SSB chassis, but with a Real digital clock (not the Mechanical POS found in other deluxe 858 base rigs(, and an SWR meter. Styling-wise,you'd never guess it was made in the late 70s. Performance-wise, its receiver has excellent sensitivity and selectivity, while on the transmit side it is one of the loudest rigs out there thanks to the speech clipper in the audio chain. 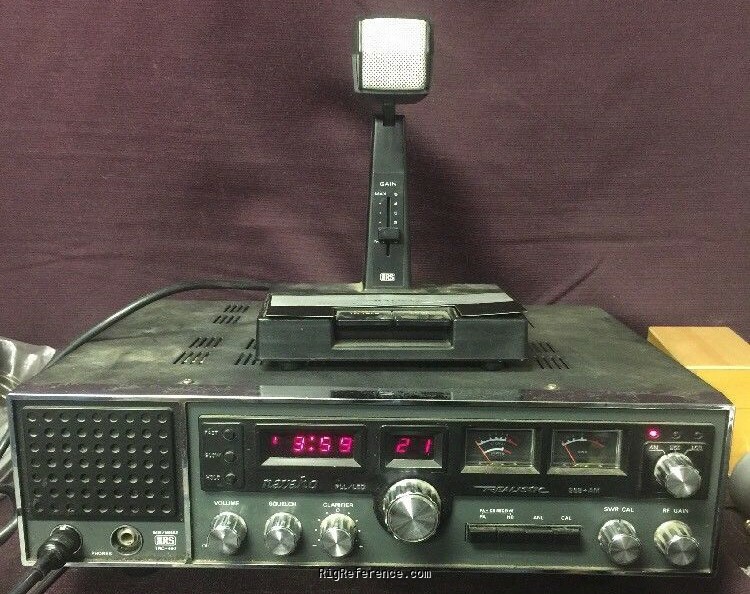 This radio was built with the emphasis on maximum performance, not lowest manufacturing cost, and it puts many of today's high priced CB/exports to shame. Many mods are available for these sets, including 5kc channel steps and a freq range of 26-32 mhz. All in all ... EXCELLENT. Estimating the value of a rig can be challenging. We collect prices paid by real hams over the years to help you estimate the current value of the RadioShack / Realistic TRC-457. Just bought or sold this model? Let us know what you traded it for and help other ham operators!